Imagine an hemisphere as an idea model. A headlight is in the center and illuminates the (inner) surface of the hemisphere so that an observer always sees the equal spot size (as a projection) in central line of sight. Since the observer looks at the margin sloping on the illuminated area of the hemisphere, a larger area must be lit on the margin. Well, the headlight can be focussed in central ray direction better. 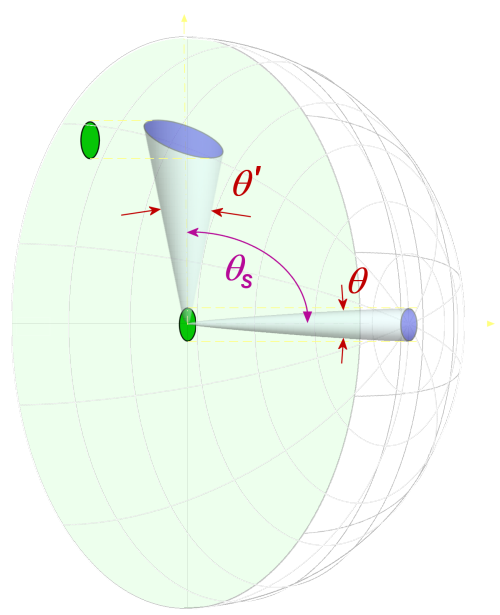 Its „beam width Θ” is lower and its antenna gain is better than at a large angle of the irradiation. 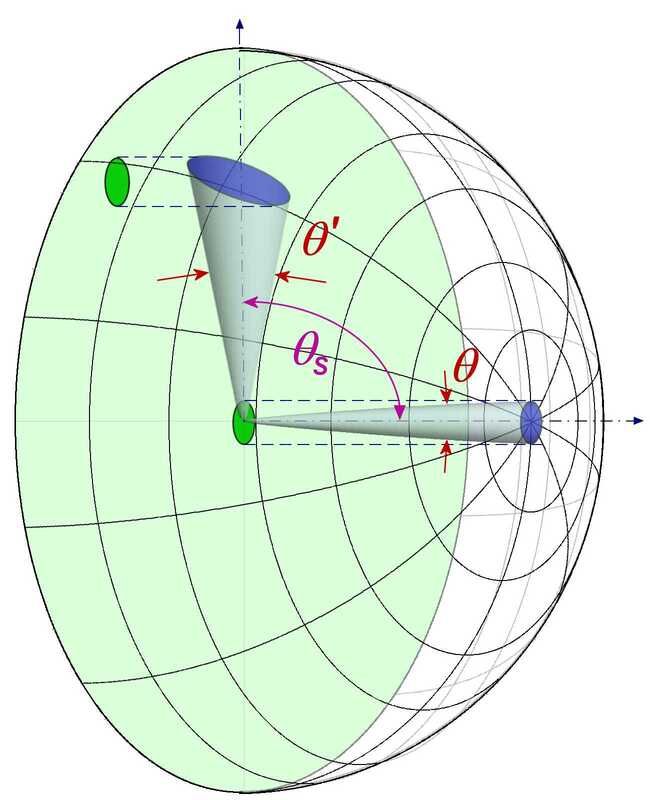 The gain of a phased-array antenna deteriorates into dependence of the angle of the irradiation (θs).